Join us Oct 11th for a Compost Tour & Workshop - Register today! Join us for this FREE workshop to learn how to implement a successful food scrap composting program in your town. 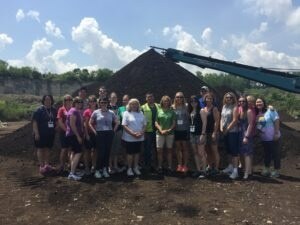 We will go on a tour of a local compost facility so you can see in person how food scrap composting works and understand the benefits and challenges. 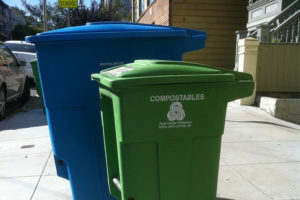 Already have a composting program? Get the info you need to answer residents questions. Complete the circle and learn how and why to use finished food-scrap amended compost in landscaping projects. This program is open to DuPage County community leaders including municipal staff, elected leaders and environmental committee members. Limited to 30 participants. Registration is required. 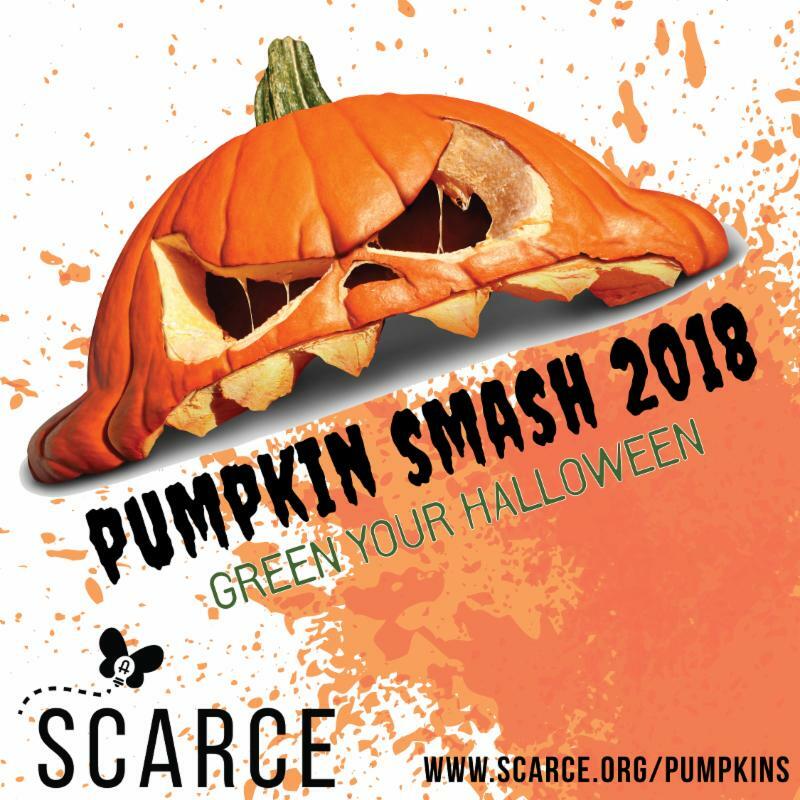 Compost your pumpkins after Halloween at the annual Pumpkin Smash! Composting is nature's way of recycling - it saves resources and reduces greenhouse gas emissions. So don't trash it, smash it! Dozens of locations to drop-off your pumpkin, find one near you! Help us keep it clean: remove all non-biodegradable materials from your pumpkin before dropping off, including candles, plastic or metal of any kind. 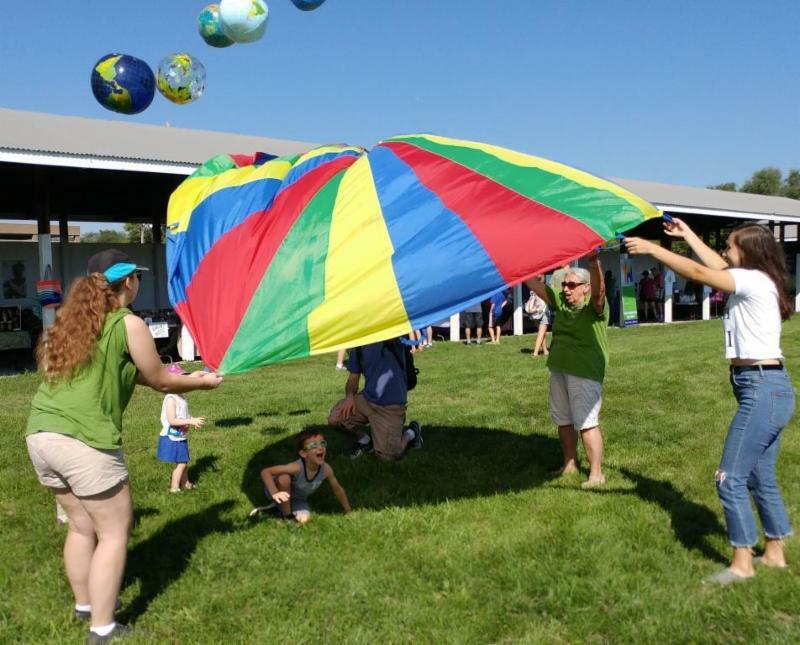 What a beautiful day we had for the annual SCARCE Green Fair on September 15th! Thank you to those of you that came out to spend your afternoon with us! 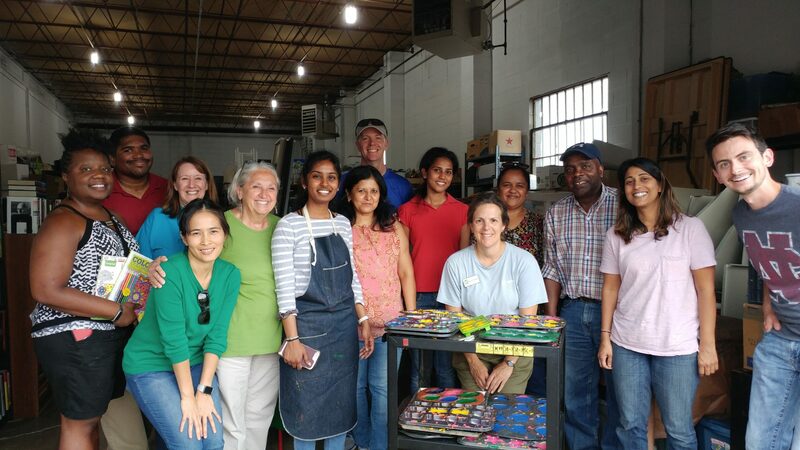 Pencil in another day of eco-friendly fun and learning for September 2019! More details to come. All ages enjoyed the beautiful sunshine at the open air market. 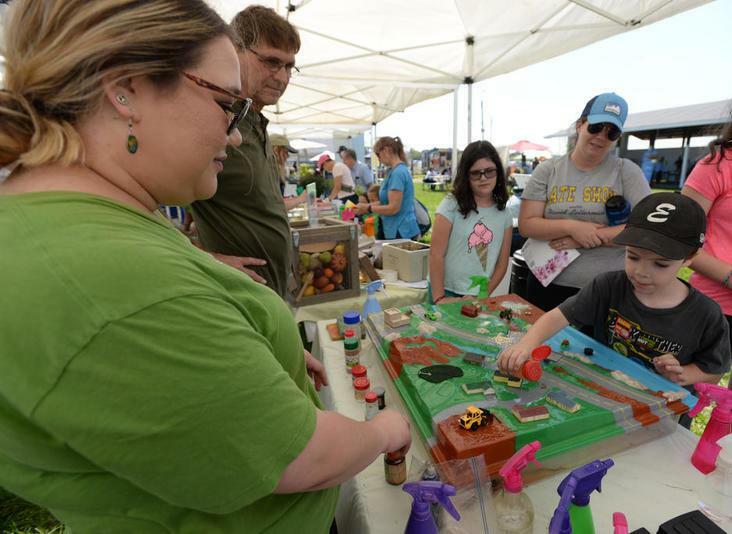 Attendees learn how to prevent water pollution with a hands-on watershed activity from SCARCE. 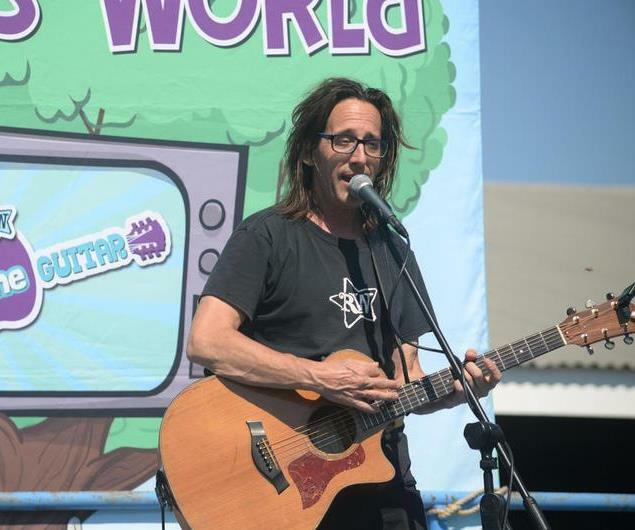 Ralph of Ralph's World debuted his Pick Up 5 song, written about SCARCE's litter clean-up initiative. 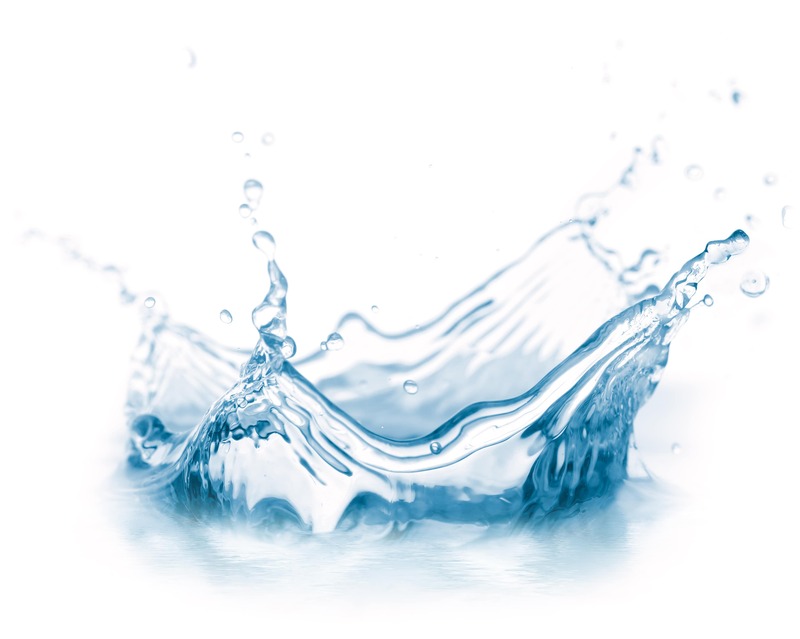 Join us for a free workshop on water pollution and how to prevent it in your community. You will be trained to run a storm drain medallion project to protect waterways in your community. What has your roof done for you lately? Businesses or others associated with commercial properties are encouraged to join DuPage County, Choose DuPage, and host PowerForward DuPage to attend this free informal event to learn about potential savings and incentives for installing roof top solar. A light breakfast will be available for attendees. Click here to register. Did you know it take about 4 gallons of oil to fry a turkey? 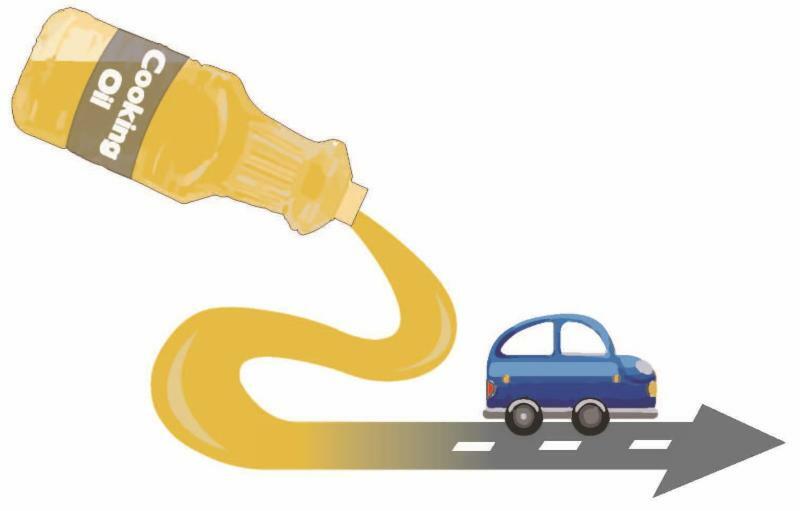 Help save your city's sewers from a FOG clog by hosting a pop-up cooking oil collection site for your residents the Saturday after Thanksgiving. Contact us for more info. 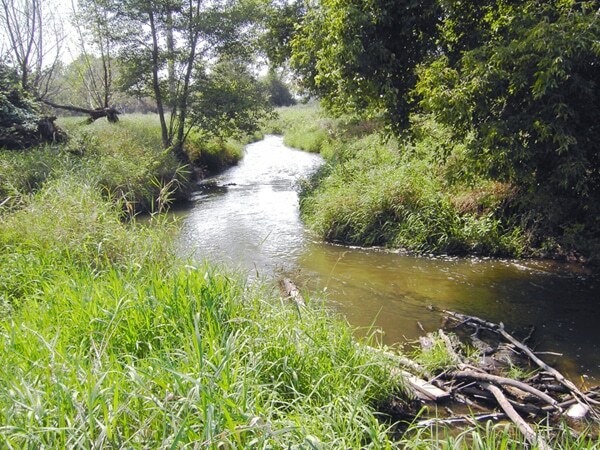 Join DuPage County and the DuPage River Salt Creek Watershed to learn techniques for effective snow and ice removal that also help reduce chloride in waterways. DuPage County Stormwater Management would like to provide a friendly reminder not to rake leaves into the street. 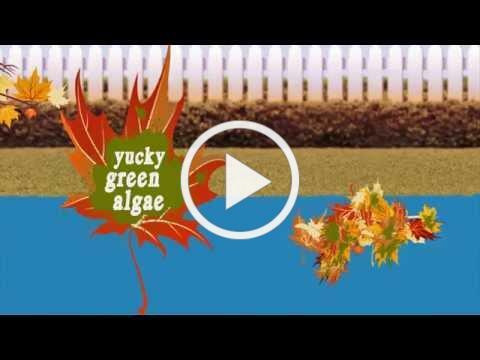 Excess leaves can harm waterways and clog storm drains, leading to flooding. Winter is on its way and many homes in DuPage County are not as energy efficient as they could be. For eligible households, the DuPage County Community Services Department assists with a comprehensive energy efficiency audit and then works to implement key findings to make your home more effieicent, saving you money in the long run. 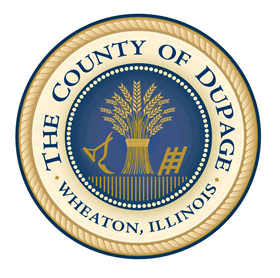 To find out more or see if you qualify contact DuPage county Community Services at 630-407-6500 or 1-800-942-9412 or email weatherization@dupageco.org. 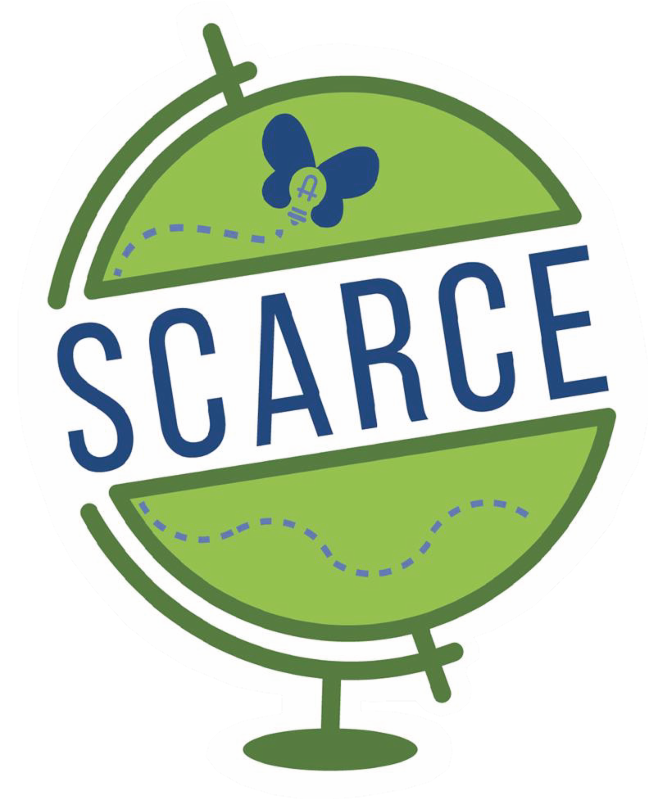 Each August, SCARCE provides books and supplies to underprivileged children at the annual Catholic Charities Back to School Fair. 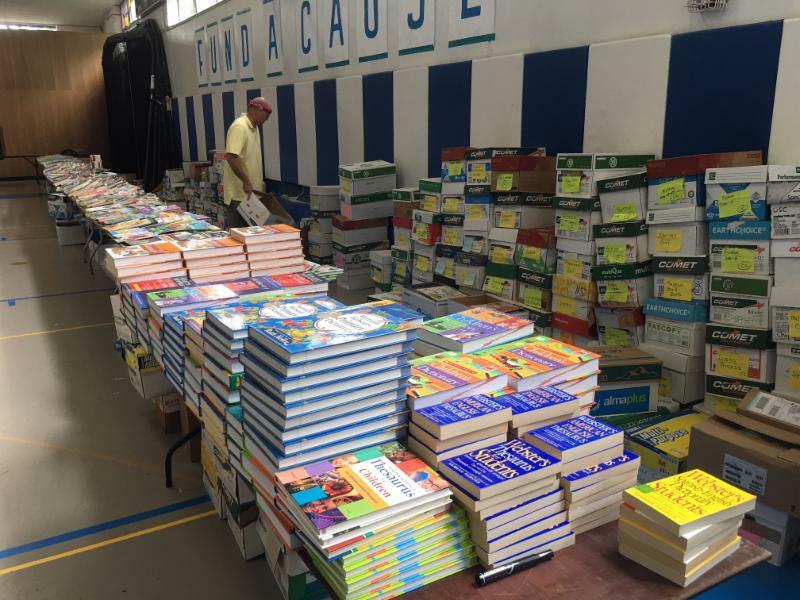 Thanks to donations from schools, businesses, and individuals throughout the year 3,393 school-aged children and their pre-school siblings were able to choose several books of their very own to start the school year on a positive note. A big thank you to our donors and volunteers that helped work the SCARCE book tables. This wouldn't be possible without you! 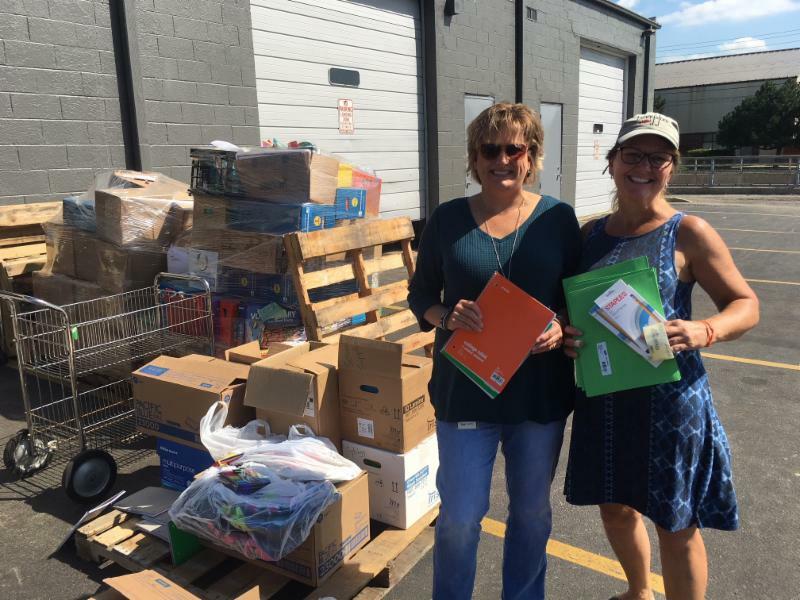 Chase Bank of Downers Grove delivering the donations from their school supply drive. For most projects and events, volunteers must be at least 14 years of age to participate.